1. The winner may put this award on their blog. 2. Please put a link to the person that presented you for this award. 4. Put links to all their blogs. Mei~! Thank you so much. I have been out of town a lot lately and just got to my blog. What a great award from someone I respect so much for their work and sharing with others. 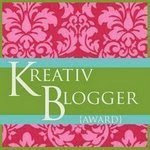 Like you, I will find it extremely hard to choose only five bloggers to pass this award on to~!! !